Understanding a patient’s need is a critical first step in delivering quality care. Doing so quickly has an enormous impact on expected outcomes. Asymmetrik has designed and built a consumer-facing virtual triage system that seamlessly guides patients through the often stressful process of determining what care they need and when, where, and how they can get it. When patients are seeking care, they have a lot on their minds. Our virtual triage platform keeps things simple by guiding the patient through a series of basic questions to determine the best care provider for the situation. 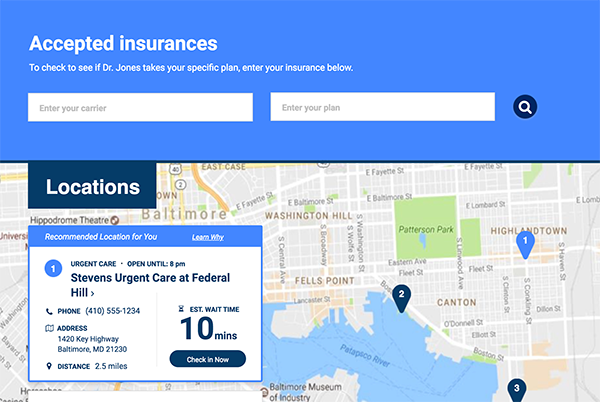 Once the type of provider is known, our platform combines location, availability, and other data to ensure that the best care facilities are presented to the patient. Integrations with scheduling systems allow patients to book appointments seamlessly online and avoid long waits. Technology is an enormous enabler of improved quality of care and patient outcomes. But, it is so often overlooked and underutilized. 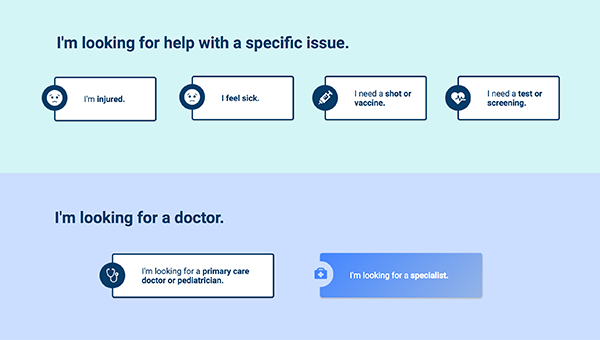 Our virtual triage platform blends technology, interoperability, and human-centered design to provide something as simple as peace of mind at a time that is often fraught with anxiety.